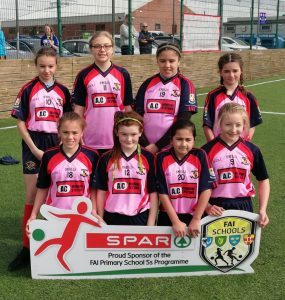 Our girls soccer team progressed from the qualifying stage to the county finals on Thursday 28th March. Upon their quest for glory they defeated St. Nicholas Primary School, St. Joseph’s NS Boyerstown, Kentstown NS, Gaelscoil Thulach na nÓg and Rathbeggan NS. 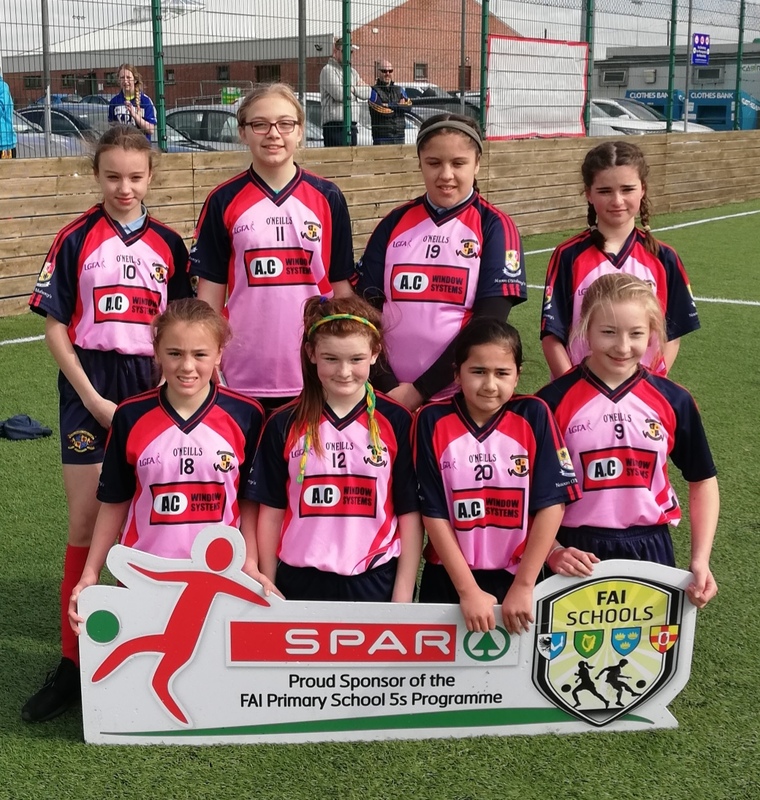 We were back in action on the 10th April in the county final stage where we faced Scoil Oilibhéir Naofa, Bohermeen and Scoil Cholmcile Skyrne. We were unlucky to concede a last minute goal and lose to Scoil Oilibhéir Naofa 3-2. However, the girls showed great character and heart to defeat Bohermeen 2-1 with a last minute goal. This left us needing a win against Scoil Cholmcile Skyrne to progress to the provincial stage. 3-0 down at half time the girls showed great resolve to get back to 3-3 and were frantically battling for that last elusive goal that would have brought us through to the next stage but ultimately it wasn’t to be. Huge credit most be given to Emma (c), Alex, Isabel, Guste, Natasha, Rasa, Rebecca and Emily who played their hearts out on both our visits to the MDL. Gratitude must also be given to the rest of the squad, Chloe, Elisha, Katie and Ciara who were a great help at each training and also to Mr. Mc Kiernan who coached the team.